In this region, the land we stand on was once covered by 3,000 feet of glacier during the last ice age. The glaciers permanently altered our land, polishing our mountains as they marched forward and creating drumlin hills and ribbon lakes (including the Puget Sound!) as they retreated. All around us, they left us clues that they were once here. This clue got a shiny plaque. That's really cool. I love learning the history of our land. 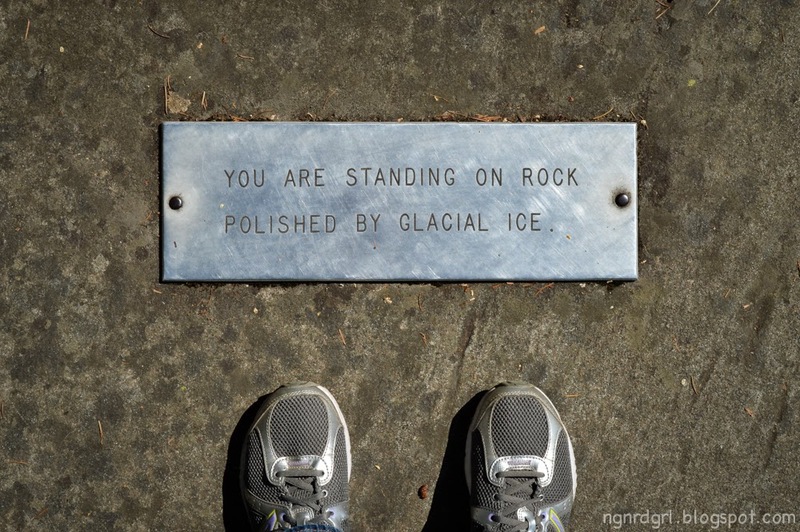 Polished by glacial ice. Cool.